Offering affordable, all-inclusive office space suitable for new start-ups and existing businesses who are seeking for new opportunities in Vietnam, including access to meeting rooms, furnished offices, reception services, high-speed internet and so on. Onsite there are multi-lingual staff members, fluent in English, Japanese and Vietnamese that can and will provide business support to maximize your business efficiency. Situated at the bustling heart of Ho Chi Minh city on the 12th floor of a modern office tower complex, this strategically placed centre boasts stunning views across the central business district and surrounding city. Clients of the space benefit from fantastic access to transport connections - the international airport is a short distance away from the building and there are several bus stops nearby. Viettel Complex Building offers great access to surrounding restaurants, cafes, bars, hotels, banks and shops as well as schools and hotels which are located nearby. A prime, luxurious office, easily accessible by many bus routes and car as there is parking provided on site for a small fee. Internal and external offices are on offer, with city views. Guests will be greeted by professional and friendly reception staff who are provided on site and have fantastic communication skills with the capacity to speak bilingually. Security and cleaning are provided at no additional cost, and the wide-range wifi and WAN fibre internet systems will help you work productively. Catering from four-to-fourteen people, the luxurious meeting rooms allow you to productively conduct business with your team or guests. Offering virtual, co-working and private office solutions, there are a wide range of amenities provided for no additonal cost such as furnished offices with functional telephones and faxes as well as shared amenities including copy and scanning, air-conditioning and beverages. There is also a fully stocked pantry with refrigerator for you to store your own beverages and lunch. While each tenant is provided with a limited amount of resources, these can be topped up for an additional fee if needed. Nestled in Phuong 12, Ho Chi Minh, this centre has prime access to amenities by walking distance such as comfortable cafes, bakeries, delicious restaurants, retail outlets, hotels, and financial and medical facilities. A centre that provides co-working and private offices in an environment that promotes productivity and offers flexible terms and spaces. A centre that hosts in-house events that connect you organically to your neighbours and productively grow your business. This centre is perfect for clients who are looking for a workspace to make their home. With both private offices and co-working space available, tenants can choose the option that suits their business best. Inspired by Ho Chi Minh history and French and Vietnamese design as well as retro motorbikes, colonial-era architecture, and monochromatic tiles included into the design; clients are transported back to 70’s Saigon. Located less than five minutes from the CBD and right in the heart of Distrct 4, clients have everything they need on their doorstep. With a variety of restaurants, cafes, high-end shopping as well as bank branches and much more surrounding the office, the location is perfect. Accessing this building is made especially easy with Saigon Railway Station and Ga Go Vap Station both right around the corner. Tan Son Nhat International Airport is found less than a ten-minute drive from the office. Located on one of the busiest streets in Ho Chi Minh City and within walking distance of a number of embassies and near one of the biggest shopping malls in Ho Chi Minh City, this Grade A office building benefits from a prime location with wonderful rooftop views. 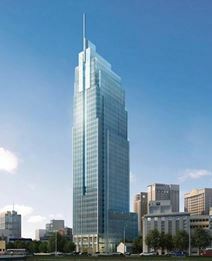 Some of the building"s current tenants include Nestle, Shinhan Bank, Kido, Lenovo and Hansea. Located in the tallest building in Ho Chi Minh, this landmark building provides 360 degree views of the whole city and a prestigious business address. It also includes the first double-decker elevators in Vietnam and a variety of breakout areas. This space is ideally located in the heart of the Bến Nghé district, and offers direct access across Vietnam, helped by the centre's proximity to local bus stops. You can benefit from the ability to access this space 24-hours a day, seven days a week. You'll also be able to take advantage of the other fantastic amenities this space offers. An elite community offering flexible plans for freelancers and small businesses alike. Create meaningful connections with people and organizations from all fields from tourism, food and beverage, finance, film-making, media and education. With exclusive privileges including deals, discounts, complimentary items, and VIP access to partner services while experiencing an ecosystem of services like pantry services, a library, business lounge, concept store, napping room, art gallery, and indoor garden. Close to a number of food and beverage facilities, this space has great options for lunch, and with the waterfront just ten minutes walk away, you can take a midday stroll to take a break from the office. Well connected to transport, with options for bus and ferry within walking distance. An office space that boasts modern decor entwined with local grace to create the ideal professional work space which promotes productivity. Interweaving glass with wood and inspired by the elements of the 200-year-old window of the local catholic church this space has bold colours with achromatic colours. Close to great amenities and services due to it's location within a mall, this centre has great road and bus access making it a prime location for your business. Located at the heart of Ho Chi Minh City, this conveniently situated business centre offers a range of office solutions to help your business succeed. With customizable, pay for what you want solutions that suit your business budget, this centre is a great space to host your business. Be part of this premium business address and gain access to corporate services like consulting and accounting along with reception services and telephone answering to help you focus on your business. A well-equipped work-space offering hot desk, dedicated desk, privates offices and virtual office options. Breakout areas feature relaxed seating. Meeting rooms are available to book. Reception services are on hand. High speed Internet keeps you on the move. 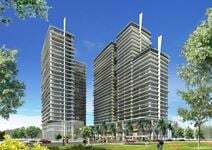 Situated in the core area of Hochiminh City- Hoang Dieu District 4 and Nguyen Trai District 1. Nearby, there are a great deal of restaurants and coffee shops. The stunning unique office space is located away from all the bustling city streets i the peaceful district of Da Kao. The office space has an amazing amount of natural light that penetrates through the large windows surrounding the whole office creating a really relaxing vibe for all members. Not only does this one of a kind center have natural light shinning through but also incorporates a tranquil courtyard and a rooftop with a perfect sunset view where you can take your clients for meetings or of course, peace and quiet for yourself or team. The space instills diversity, encouraging regular sharing of working goals and liked minded ideas. Ideal office space for those looking to grow their business in the centre of one of Vietnam's prime business districts. Boasting natural light, spacious private offices, and coworking membership options, this centre allows you to tailor your office to suit specific needs. Providing businesses with a professional reception area, complete with staff to greet any and all guests, comfortable business lounges, complimentary beverages in communal kitchens, and stylish meeting rooms. Conveniently located around the corner from several high-quality bars, restaurants and cafes which are perfect locations to meet clients or for getting lunch in a hurry. Well connected to local transportation with buses available from stops right outside the centre. Tan Son Nhat International Airport (SGN) is a 25-minute drive from the centre servicing international travel needs. 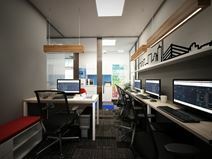 Providing a co-working and private office solutions for small businesses, freelancers and startups, this centre supplies a place for you to work, live and engage. Located in a mixed-use development that is also home to retail and serviced apartment facilities, this brand new, grade A building in the heart of Ben Nghe Ward is a premium location for your business to occupy. Close to amenities and accessible via public transport, this centre is perfect for you to access. A prestigious business centre with a premium business address, located in the heart of Ben Nghe Ward, District 1. Nestled into a mixed-use development, this centre has neighbours that offer grade A offices, premium serviced apartment, and retail space. 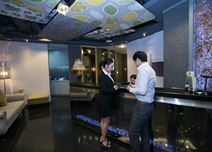 Boasting views of the city skyline and Saigon river, this centre has been carefully designed with members in mind and offers on-site service support with expert IT infrastructure and support, state-of-the-art connectivity and complimentary refreshments. With a prime location within the central business district of Ho Chi Minh City, this centre is surrounded by a host of amenities such as post office, banks, hotels, serviced apartments and fine-dining restaurants. High-quality office space is provided in a modern setting, enhanced by innovative design and ergonomic furnitures. This business centre tops it up by providing a complete business support services that include personalized secretarial services, high-speed Internet access, cutting edge communication equipments and on-demand video conferencing facilities. This business centre is situated in central Ho Chi Minh City, close to many famous restaurants, hotels, stores and much more. Situated in a prestigious building, this centre offers a range of office facilities, with multilingual staff and a range of other services. The centre is accessible from all main roads and the international airports and is equipped with bus stations and taxi ranks at all entrances to the building. Situate your business in Vietnam's booming economy and start-up scene. A conveniently located building, this centre has ample access to food, beverage and retail facilities as well as connections to public transport for easy accessibility. 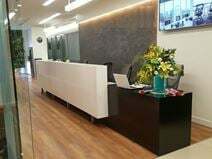 Offering all kinds of flexible office space, this centre has an abundance of services on offer also from business and IT support to secretarial services and internal common spaces where you can network or utilise to meet clients. This is a unique opportunity of renting office spaces right in the heart of Saigon's business and entertainment district. Surrounded by luxurious hotels, leading companies and the major government institutions, these office spaces benefit from a renowned business address and enjoy a stunning view over the Saigon River. Located in Indochina Park Tower, this space provides smart office solutions to foreign and domestic enterprises. With a company that has become a leading brand and a leader in the flexible office space of Ho Chi Minh City, this space is ideal for clients both foreign and domestic, mature or starting up. Found in the heart of Ho Chi Minh City, this space is located near Gem center, the professional conference hall, HCM broadcast main hall as well as universities and other famous buildings, hotels and halls. A well-furnished, stylish office space. Air-conditioning maintains a comfortable temperature. There is a reception area with tables and chairs for receiving guests. There is high speed WiFi, printer, photocopier and scanner. A free cleaning service is provided. Sizeable windows overlook the surrounding area. 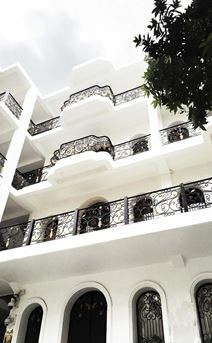 Situated in an elegant villa, four minutes' walk from Saigon River. It is a 30 minute drive to Tan Son Nhat International Airport. Nearby, there are shops, restaurants, convenience stores, banks, hotels, and coffee shops. It is just five minutes to the Saigon centre. This stunning work space opening in April, goes outside the traditional co-working spaces. Designed as a combined concept from the ground up, the space offers an organic mix of work spaces to suit every business and to ensure you reach your potential. The space offers formal and informal spaces to conduct all your team and business meetings. The space puts emphasis on community, encouraging discussions between like minded individuals wanting to learn, grow and express themselves. Join private events, benefit from strategic partnerships to help your personal and professional growth and enjoy the support of a social community like no other. This stunning space provides all your daily working resources, so you can focus on innovation and creation. Surrounded by useful amenities this office space is situated within a premium residential area, just five minutes to the foreign downtown center. The centre is in Tan Phu Ward District 7 which is the finance business district in Ho Chi Minh city. The impressive business centre is surrounded by Unilever corporation, banks, restaurants and cafes. The centre offers 24 hour security, 24 hour access, administrative support, copy and printing facilities, meeting room, IT support, parking, telecom, telephone answering, high speed Wifi for your office use. An elite community offering flexible plans for freelancers and small businesses alike. Create meaningful connections with people and organizations from all fields from tourism, food and beverage, finance, film-making, media and education. With exclusive privileges including deals, discounts, complimentary items, and VIP access to partner services while experiencing an ecosystem of services like pantry services, a library, business lounge, concept store, napping room, art gallery, and indoor garden. Be spoilt for choice when it comes to food and beverage options, accommodation choices, education venues, and cultural tourist spots. An elite community offering flexible plans for freelancers and small businesses alike. Create meaningful connections with people and organizations from all fields from tourism, food and beverage, finance, film-making, media and education. With exclusive privileges including deals, discounts, complimentary items, and VIP access to partner services while experiencing an ecosystem of services like pantry services, a library, business lounge, concept store, napping room, art gallery, and indoor garden. There is no shortage of options for food or beverage nearby, with lots to do and see in the area including the Saigon Zoo and Botanical Garden for you to enjoy. A well-equipped co-working space with ample natural light. Breakout areas are spacious and feature ergonomic furniture. Meeting rooms are kitted out with sizeable TV screens. There are phone booths for quiet phone-calls. Situated on Nguyen Trai, just off Thanh Giong Roundabout in District 1 of Ho Chi Minh City. It is a 9 minute walk to Ben Thanh Market. In the vicinity, there are numerous coffee shops, restaurants, hotels and bars. A vibrant service office space is in the heart of district one offers various levels to a variety of meeting rooms, server room and also a designated quiet area for all workers. The office is only second away from the vibrant and energic shops, cafes and bars that Ho Chi Minh City has to offers. This location is very convenient for all to commute to and from work with train stations such as Cu Meo Station and Ga Bình Triệu train station only moments away. The only available panoramic view of the picturesque Saigon River is offered by the penthouse location which is based in a prime building. The majority of the City's star hotel and local food offerings can also be found in the vicinity. Opposite of the building is the next bus station which makes it easy to get to the Centre. The offices, in-house facilities and services are catered for your business needs at affordable prices and flexible terms. With beautiful views of the Saigon River, this centre has a tranquil environment for you to place your business. Housed in a modern building on Ton Duc Thang Street in the heart of Ho Chi Minh City, this office space provides the ideal space for your startup or small business team with offices that can cater for three-to-four people, all within furnished private offices that are equipped with desks, chairs and under desk storage that are supported by reception and administrative personnel. Designed for teams up to 20 people or lone-workers, this business centre is situated in a beautiful Neoclassical building a short distance from the centre of the city. In-house there is a cafeteria and a coffee shop for you to enjoy a cup a hot beverage to caffeinate, or during an informal meeting. Surrounded by local amenities, this centre has great access to food and beverage options, financial, education and medical facilities and retail venues. A variety of options are available at this co-working space for women. Personal assistance is accessible to help you develop and grow. Meeting rooms with conference facilities are available to book. Receive professional support by industry experts. Networking events enable you build relationships within the community. Virtual office options are also on offer. The space is located in Thao Dien, and nestled in a meander of the Saigon River. The area is dynamic, with many cafes, bars, restaurants, shops, supermarkets and banks. The Factory Contemporary Arts Centre is a 14 minute walk away. It is an 8 minute walk to Thao Dien bus stop. For those who travel into work by car, there is onsite parking available. 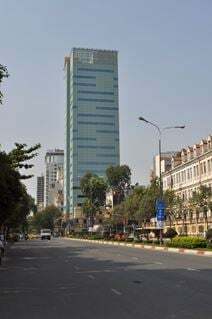 The stunning unique office space is located away from all the bustling city streets i the peaceful district of Thao Dien. The office space has an amazing amount of natural light that penetrates through the large windows surrounding the whole office creating a really relaxing vibe for all members. Not only does this one of a kind center have natural light shinning through but also incorporates a tranquil courtyard and a rooftop with a perfect sunset view where you can take your clients for meetings or of course, peace and quiet for yourself or team. The space instills diversity, encouraging regular sharing of working goals and liked minded ideas.